Sheltered bays, secluded coves, rocky islands, beaches, shipwrecks and a real Maine lobster lunch! 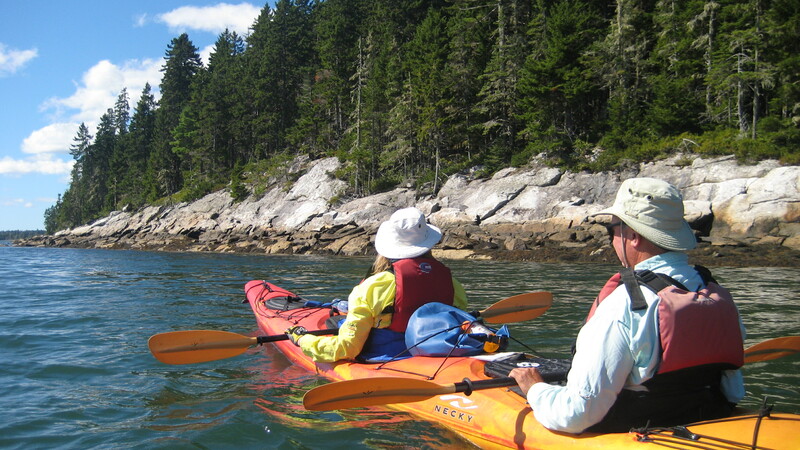 Enjoy island hopping in Muscongus Bay on your way to a real Maine lobster lunch and experience shipwrecks, an abundence of wildlife, and harbor bells chiming in the distance on our Full Day Sea Kayaking Tour. The Muscongus Bay Full Day Sea Kayaking Trip begins with basic kayak maneuvers, paddling and stroke technique and boat balance. This trip is designed to offer the proper paddling skills needed to enjoy a day on the water. We will paddle in the morning and take a break for a real Maine lobster lunch. The remainder of the afternoon will be spent discovering secluded coves and sheltered bays, paddling around wild rock islands, and exploring wildlife-abundant estuaries.